It is certainly intricate to come up with Gemstones in Kristals Cosmetics Products, but their effects on women’s skin are surely rewarding. This brand does not merely manufacture items for the sake of selling regular products. The company sees the importance of only using the best for your skin. Kristals Cosmetics also took the opportunity to combine positive energies through precious stones, along with the most nutritious ingredients in skin care. Kristals Cosmetics carries a variety of refined skin care products, and gemstones are luxuriously part of them. 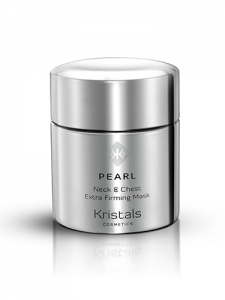 Pearl is one of the gems used among Kristals Cosmetics’ products. This precious component is known to efficiently exfoliate, lighten and moisturize skin. Pearl creams are made from crushing pearls and even high-grade seashells or oyster shells. These are turned into the tiniest beads, which can help in taking out the deep seated dirt on your pores. Ruby crystals are quite rare in skin products these days but once a woman encounters them, she will definitely be a fan of the charm’s effects on her skin. Rubies have the ability to change light into energy, as it gives off a fiery glow on the skin. The gem should be perfect for those with pale skin or for those living in areas with lesser chances of the sun to shine on them on a daily basis. As one of the Gemstones in Kristals Cosmetics Products, ruby gives off a rosy and glowing reflection. If you need more warmth in your skin, Kristals Cosmetics has the Ruby Super Facial Cream. It also contains emollients to soften skin. Most women would choose their clothes depending on their moods. For those who would like to inspire creativity, passion or even spirituality, Amethyst inspired products can help them achieve this state of being. Kristals Cosmetics Products has the Amethyst Oxygen Instant Energizing Cream. As part of the Gemstones in Kristals Cosmetics Products, this can clean, detox and rejuvenate the skin. These benefits essentially relate to cleansing one’s aura of negativity and replace the said mood with positive spirituality. Amber is known to be a healing gem, which turns negative energy into a more optimistic one. For fans of enhancing chakras or energies, Amber as a gem is a fire element, which brings a cheerful disposition to those who would possess the stone. Kristals Cosmetics recognizes the good mood effects of this gem, which is why the brand’s Multi-Vitamin C Brightening Serum aims to turn dark spots into lighter tones. There are more choices among Gemstones in Kristals Cosmetics Products. Consider which moods you would want more of along with the crucial needs of your skin, and pick the items, which fit you today.